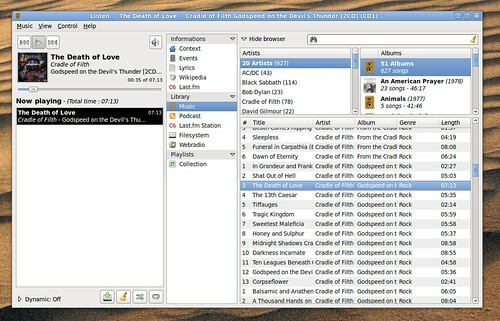 GNOME has many audio player like Banshee,Exaile or Rhythmbox .But Listen provides a direct access to lyrics, lastfm and wikipedia informations.Listen is fastest audio player in GNOME . 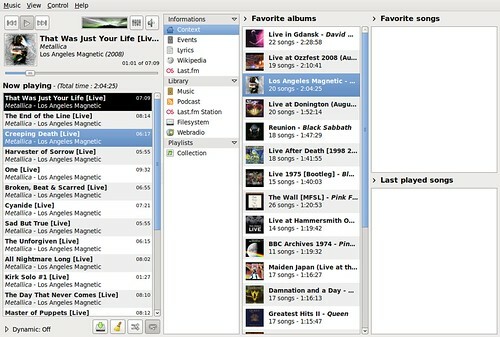 Listen offers drag-and-drop support, and besides the usual sorting. The playlist font can also be changed. 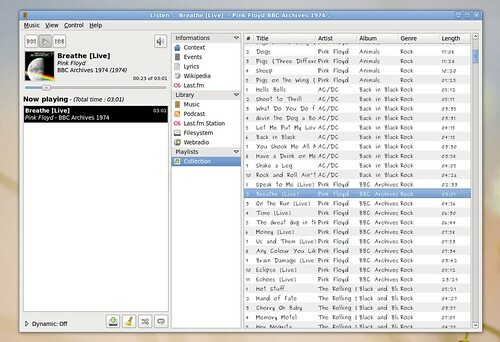 One of the minuses is that the playlist cannot be sorted by full path or filename. song queue, system tray integration, visualizations. Hi, I see all your writings, keep them coming.